Image: Guillaume Payen/SOPA Images/LightRocket/Getty Images. Design: Ashley Britton/SheKnows. In this digital day and age, landing a job (or a lucrative client) looks much different than it did even a decade ago. 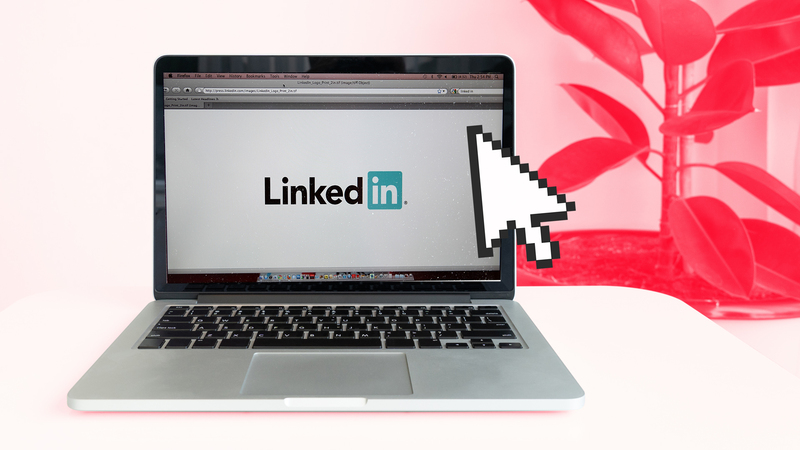 Today, employers and business owners are taking advantage of the instant accessibility to potential employees offered by the internet — and arguably the top networking site where profiles are being vetted is LinkedIn. Of course, the competition is fierce. In the U.S. alone, there are nearly 150 million people with professional presences on the business-building site. To catch the eye of entrepreneurs, headhunters or hiring experts, your profile needs to stand out. Easier said than done though, right? Shelling out extra money each month for LinkedIn’s premium version might up the odds your profile is seen by the right people, but such expenditures aren’t always in the budget — especially if you’re a fledgling business or actively on the hunt for employment. So we gleaned a bit of insight from LinkedIn experts to find out how you can spruce up your profile for free. Here’s what we found out. Filler words won't do you any favors on your LinkedIn profile. Instead of trying to impress with expansive but vague statements, spell out what you bring to the table. "Add more specific bullet points on what services you offer with your business venture as opposed to, saying things like, "virtually anything," LinkedIn expert and social media marketer Brett Jansen tells SheKnows. Accordingly, Jansen also recommends streamlining your roles and responsibilities, saying, "Lump different roles within a single company as one, with the highest-ranking job as the title. List your achievements and responsibilities in bullets points." Here's a bit of info we're obsessed with courtesy of CEO Lifestyle founder Nelson Wang — an idea Wang picked up from global thought leader Keith Ferrazzi. First and foremost, Wang recommends real-life networking as an excellent way to build your presence on LinkedIn. And his favorite means of doing so is simple: grabbing a quick bite. "As you meet new people, you can get to know them on a much deeper level by spending one-on-one time with them over coffee or lunch. This will help you build more meaningful relationships," he tells SheKnows. Another pearl of wisdom from Jansen? "Remove your high school [listing] from your LinkedIn profile unless you are leveraging that to connect with other alumni," she says. Otherwise, it essentially serves no purpose other than to take up space. While you're at it, trade in that cropped picture of you and your college friends for a legitimate head shot. First impressions are important, and a professional-looking head shot can instantly foster confidence. 4. Create a "value bank"
While it may be tempting to immediately fire off a "let's work together!" message once you've made a connection on LinkedIn, author and entrepreneur Alex Pirouz — who was featured in the book Getting Your Business LinkedIn — says you should first build up what he calls your "value bank." "Before you start emailing marketing to your contacts, think of a few ways you could add value to them," he told Forbes. "This will help develop the trust and rapport necessary between your connection so that when you contact them to hold a meeting they not only recognize you but most importantly [are] interested." Did you know this was a thing? Don't feel bad — neither did we. But it is, and you can create a much more professional-sounding URL by following a few simple steps. Six, to be precise. First, you'll need to click the "Me" icon at the top of your LinkedIn homepage. From there, click "View Profile," followed by "Edit public profile & URL" on the right rail. Under "Edit URL," clicking the little pencil icon (it says "Edit") next to your public profile URL allows you to tweak it. So, go ahead! Change that garbled mix of name and numbers currently tacked onto the end of your LinkedIn URL to your moniker or business name, then hit save. Presto-chango, you've got a much more professional LinkedIn URL to share.